Accommodation in Dubrovnik ? Browse Accommodation! 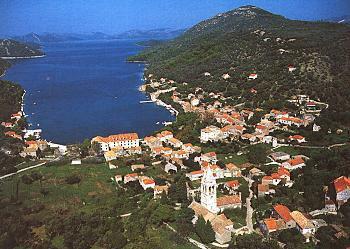 Šipan (pronounced sheepan) is situated 17 kilometres (12 miles) north-west from Dubrovnik. It is one of the Elaphite islands, largest among them. Šipan was inhabited already in time of the Roman Empire. In the Middle ages famous Šipan's vineyards were mentioned on many European courts. 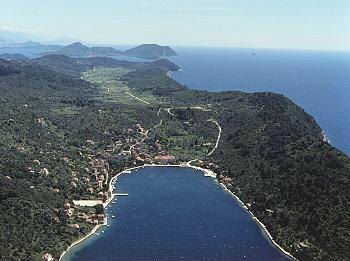 Šipan got it's name from latin word "gypana" meaning "The island of eagles". In 15th and 16th century many noble families from Dubrovnik built their summer residences on Sipan. Today on Šipan people grow olives, figs, almonds, tomatoes, citrus fruits and off course there are large vineyards with finest grapes. There are a few small villages in the inland of the island. Except natural beauties, Šipan island can offer many other things for sightseeing. For example, in Sipanska luka there are ruins of a building dating from times of ancient Rome. On Velji Vrh there are ruins of the St. Peter's church from 11th century, in Pakljeno there is church of St. Mihovil dating from 11th century an there is small church of St. Ivan in Silovo selo. Between Sudurad and Šipanska luka there are ruins of summer residence of the Dubrovnik's Archbishops. Šipan also has many nice beaches where one can enjoy in the sun and swim in the clean blue sea. It is beautiful island for spending a vacation and having a great time. When visiting Dubrovnik, one should also visit Sipan at least for one day. Šipan is connected with Dubrovnik with many boat lines. You can go with the boat in the morning and spend your day on the beach on Sipan, or go sightseeing the island, or you can do both and go back in Dubrovnik in the late afternoon or in the evening.